I’ve found a site maintained by the students of the Department of Nuclear Science and Engineering at MIT that seems to give good information about the Fukushima Nuclear Plant situation in Japan. it’s at mitnse.com. Besides explanations about terms used in the nuclear industry, it maintains updates about the situation in Japan free of purple prose. As of this morning the spent fuel rod pools were being sprayed using army firetrucks. A power line had been laid from a main power line a kilometer and a half from the facility so there will be power soon to the emergency cooling systems. Backup diesel generators are running to cool the spent fuel rod pools at Units 5 and 6, and the temperatures are down to the mid 60s Celsius. I’ve not seen anything that says any of the steel primary pressure vessels have been breached on any of the reactors, or that any have reached a high enough temperature to melt the intermal machinery. Most of the problems seem to be focused on the pools where the spent fuel rods are stored, not on the reactors themselves. There will be a high price to cleanup of the site, and perhaps none of the reactors can be saved; I doubt that, though. I’ll bet that at least some of them will eventually be running again. What is really unfortunate is that this is taking center stage while so many thousands are still missing, presumed dead. The iPad newspaper The Daily had some before and after photos of areas that were destroyed by the tsunami, and it was horrible. Entire towns were just scoured off the map like they never existed. The Cassini Saturn probe just keeps tickin’ along, coming up with new stuff all the time. It’s “springtime” on Saturn, in that Saturn experienced equinox in August 2009, and with a year of almost 30 Earth years, it’s still spring. Now Cassini has seen evidence of methane rain falling in the more arid regions around the equator. Methane takes the place of water in the weather cycle on Titan, where it is too cold for liquid water – as in about 290 degrees below zero F.
Most of the atmosphere of Titan is nitrogen, but it also seems to contain several per cent methane (more than the amount of water in Earth’s atmosphere), and it’s very thick; at ground level the air pressure is about half again that of Earth’s. The atmosphere contains a bunch of other stuff as well that apparently is similar to smog on Earth. 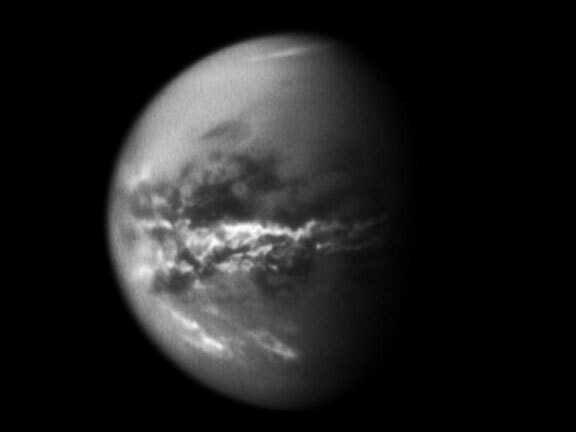 The atmospheric chemistry of Titan must be pretty interesting, with so many complex chemical reactions going on with so little heat to drive them. 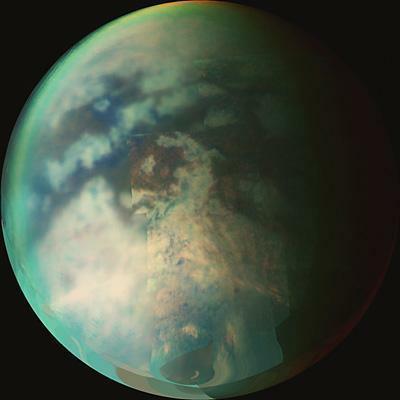 I’m amazed by the fact that through all this crud in the air on Titan Cassini can still see weather patterns – as little as five or six years ago we didn’t even know what kind of surface the moon had because of the murk. Researching this post I found that it’s now known that Titan is not the largest moon in the solar system, as long thought. The honor goes to Ganymede, which is 62 miles in diameter larger. Cassini was launched in 1997. Technology fifteen years old is providing this information, folks! On those days when you think maybe our lasting impact on civilization will be the cellular phone, or worse, the video game, remember that people are building machines that travel hundreds of millions of miles, through intense cold, sailing through the black for years, and still function perfectly. That makes me feel pretty good about human beings…at least for today! 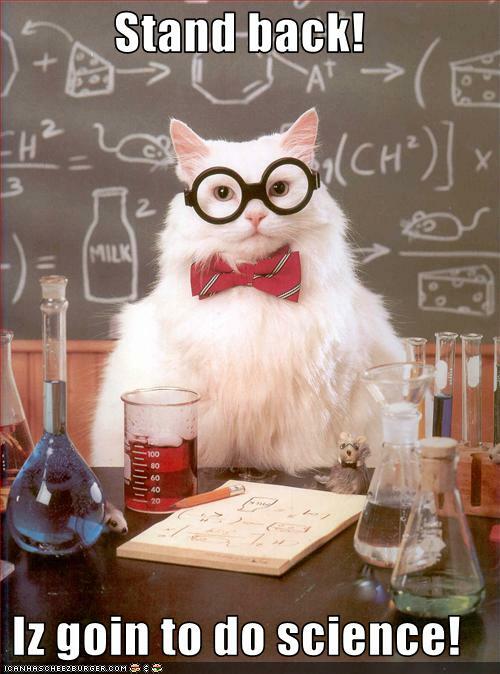 You are currently browsing the The Old Gray Cat blog archives for the day Friday, March 18th, 2011.